Nagpur : Smt. Neha Thombre, Hostel warden of National Law University, Nagpur presented the ‘Krantijyoti Savitribai’ Solo Performance at panchsheel Buddha Vihar, Pratapnagar, Nagpur . Members of the vihar, large number of male, female and students were present on this occasion. Neha Thombre presented various aspects of Mahatma Phule and Savitribai Phule’s life through this solo performance and emphasized the importance of women education whose foundation was laid by Mahatma Jyotirao and Savitribai Phule. So far this solo act has been presented in Eight programs organized by various social organizations in Nagpur and other districts. 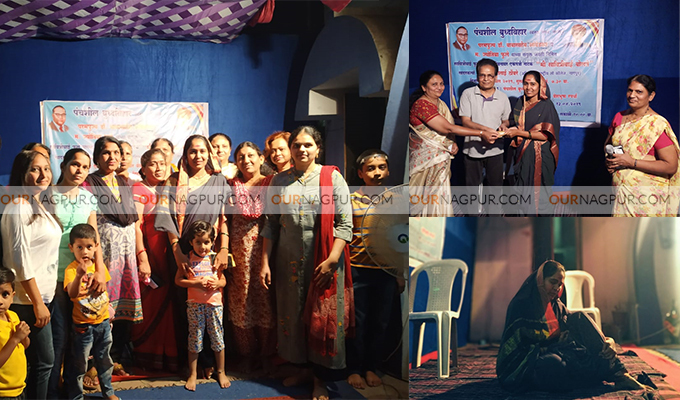 Members of Vihar felicitated Neha Thombre for the presentation of ‘Krantijyoti Savitribai’ Solo act in panchsheel Buddha Vihar, Nagpur & also expressed best wishes for future endeavours.